An Overview of Buying a Foreclosed Property at a Real Estate Auction | Wilson Auction & Realty Co, Ltd.
Are you looking to buy a foreclosed property as an investment? The best way to do it these days is by attending a live real estate auction or attending a real estate auction online. Either way, there are some steps you should take to make a successful purchase. Here’s how to go about finding the right foreclosed property at an auction. Find which foreclosed properties will be up for auction. In most cases, you’ll be able to find out which foreclosed properties will be for sale at an auction before that auction takes place. You should put together a list of the properties that will be up for sale and then circle the ones that interest you the most. Do your homework on the properties you like best. After you have narrowed down your search to just a few foreclosed homes, you should do research on each property and find out as much as you can about them. You might even consider riding by them to see if you can find out more about them. You should not attempt to go inside of any of these homes. But you’re free to check out the exterior of them and scope out the neighborhood in which they’re located. Make sure you have financing in place. Each real estate auction operates a little bit differently, but you will more than likely be required to pay either part or all of the purchase price of a foreclosed property if you win an auction. Therefore, you should have financing in place. Whether that means freeing up funds in your own bank account or finding a lender to give you the money you’ll need, you should be prepared to pay for a foreclosed home on the spot at an auction. Register for the auction and place bids. After you’ve made all the necessary preparations, you should go ahead and register for the auction featuring the foreclosed properties you want and then attend it and place bids freely. 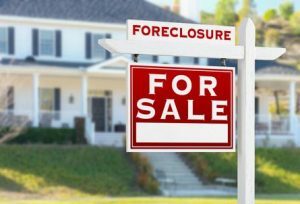 As long as you have followed the first three steps listed here, you should be ready to buy a foreclosure at an auction without running into any issues. Wilson Auction & Realty Service routinely auctions off homes located in Ohio, Michigan, and Indiana. Whether you’re interested in buying one or auctioning your own home, we can help. Call us at 419-636-5500 today to find out about our upcoming real estate auctions.